Switch the wires on the two speakers at the box and see if the problem moves to the other speaker. If the second speaker starts popping and the first one stops, the problem is in your amplifier. If the same speaker keeps popping then you probably have a blown sub. Check the sub with a multimeter. It should read the ohms it is rated at when you hook it to the positive & negative inputs. It its off your coil if bad. Have a 1996 soundstream reference 1000s amp 2 chan. Want to hook up 2 2011 12 inch kicker cvt woofers 4ohm. What is the best way to run this set up? I have Ref-1000s with two Pioneer TS-W1200C 4-ohm subs bridged in series. So it is 8-ohm mono load, easy for an amplifier, long durability, less heating, low current consumption. I have heard that this amp might break if used with low impedance loads. Sounds like the pipe/connection from the exhaust manifold to the EGR valve that is located at or near the throttle body has a leak. That would make a loud popping noise. Rockwood is available here in the US, but it might be a brand to stay away from! That company popped up after Rockford Fosgate and Sherwood became nameplates in the industry, and caused some confusion. Now they offer 5000W amplifiers with circuit boards the size of cell phones. GARBAGE! The amplifier that is worth anything that you may have seen is Soundstream. 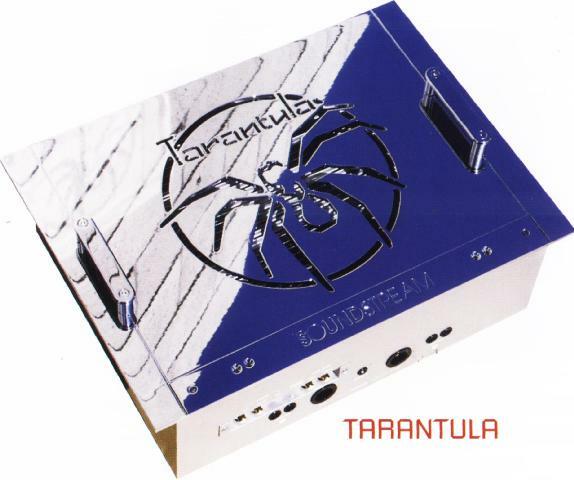 Their tarantula line was so popular, when it got bought out, the new company retained the logo for all its amplifiers. Look at www.soundstream.com for recognizing which amplifier it was. Im pretty sure that line now is pretty plain, but a limited ed. or older tarantula amplifier has a big spider on the front. It is the only spider logo I know of in the 18 years I have been in the biz. It is no longer available in this particular shell (see website for details). So that may be why you were told it cant be purchased here (anymore). This is a nexer version with the logo etched instead of 3d. Whats the RMS on my 1000watt 4ch amp??? Have a manual for Rockwood XR-1712 Car Subwoofer?